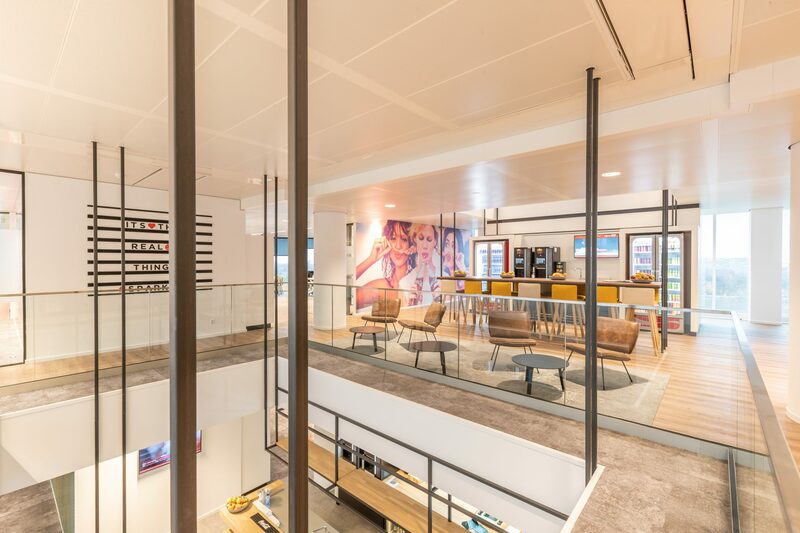 After a collaboration process of one-and-a-half years, Tétris has now completed the new offices of the Coca-Cola Company (CCC) and bottler Coca-Cola European Partners (CCEP). 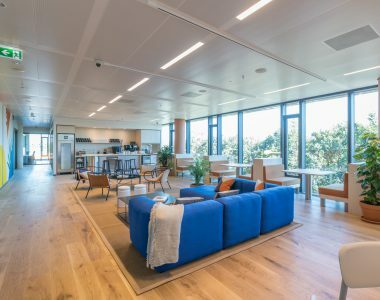 A total of four floors were designed and constructed in a building at the forefront of sustainability and smart technology. 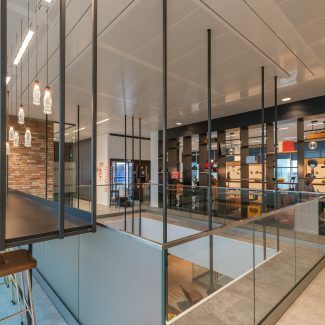 A climate ceiling (radiant panel) ensures optimal comfort and the use of LED lighting and heat-insulating glass translates into lower energy use. 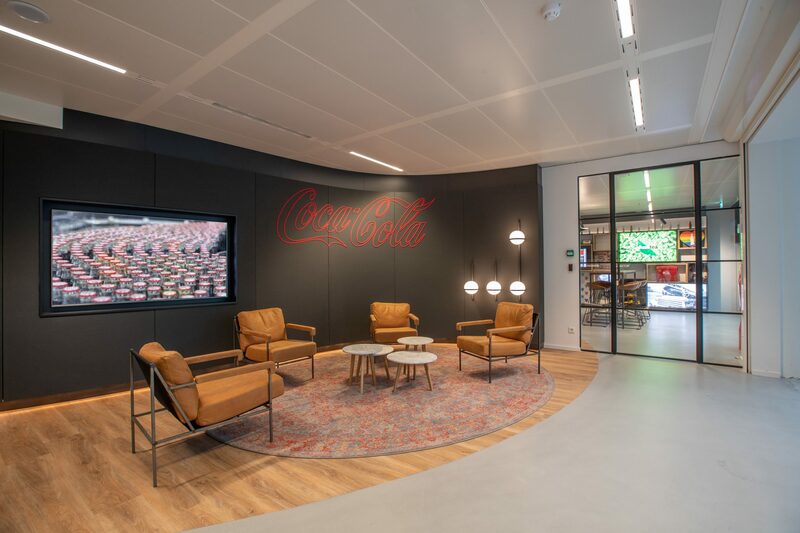 Thanks to the collaboration with Workplace Strategy and Tenant Representation from JLL, as well as the productive cooperation with project developer OVG, Tétris knew exactly what kinds of requirements Coca-Cola wanted not only for its employees, but also for the building. 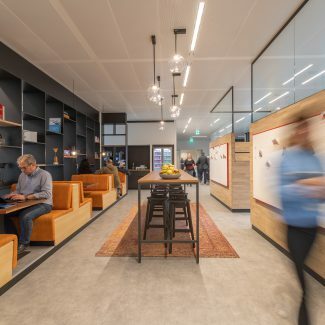 The most important guiding principles for the new office were connectivity, inspiration, creativity and transparency. 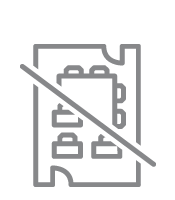 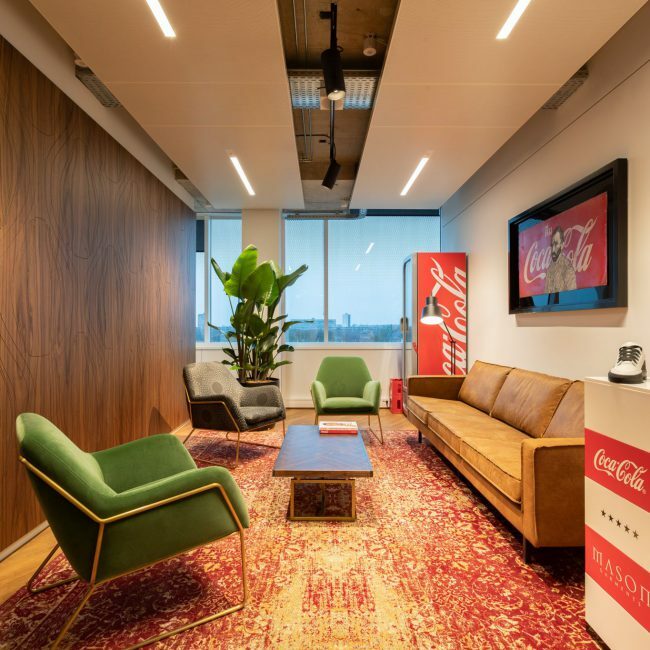 This was a design challenge because Coca-Cola Company was used to operating in a closed working environment without flexible working arrangements. 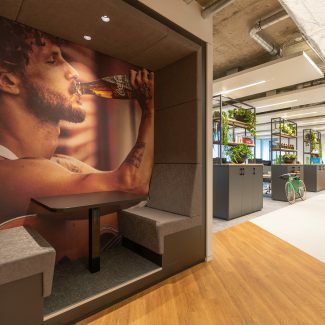 All of the floors now only have open workstations. 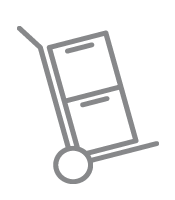 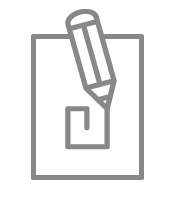 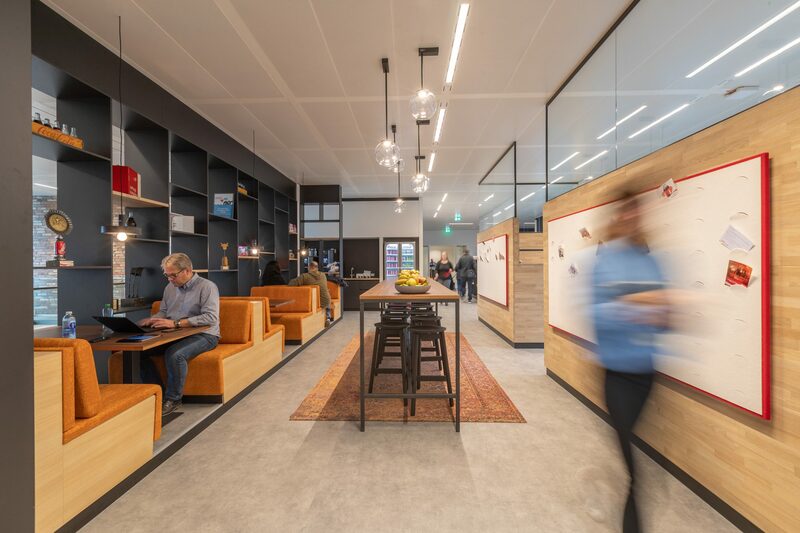 To assist the client in adopting this new work approach, Tétris’ parent company JLL prepared a workplace process and change management plan. 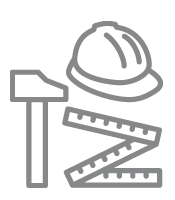 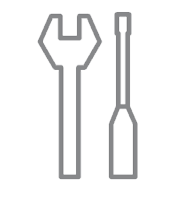 Workshops, training courses and brainstorming sessions helped determine the working needs of the employees. 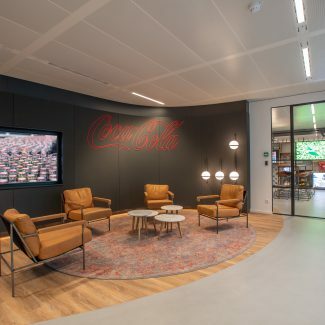 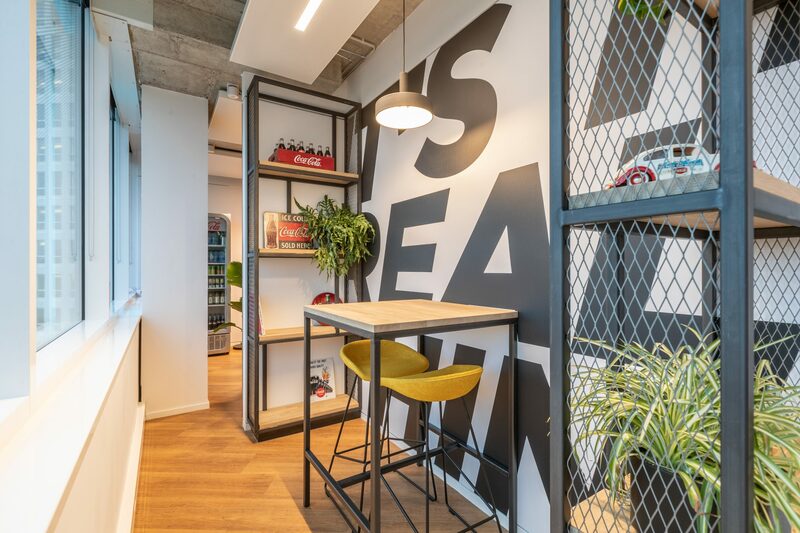 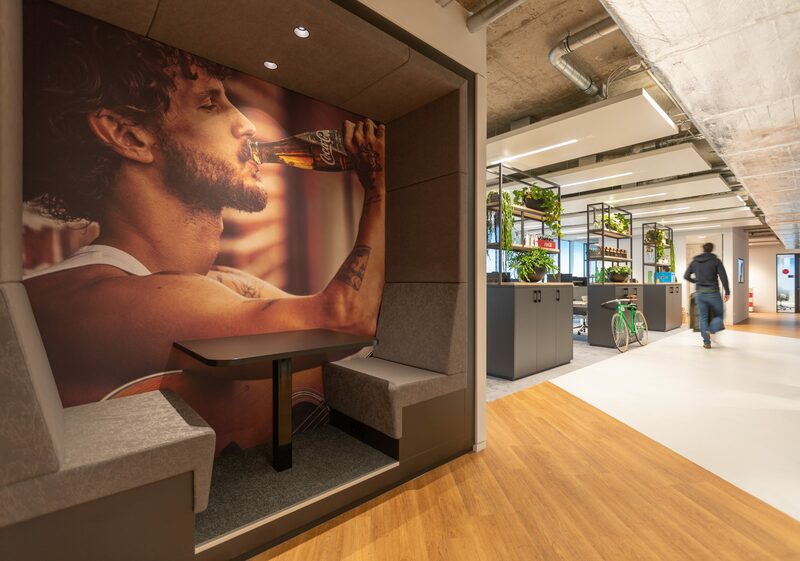 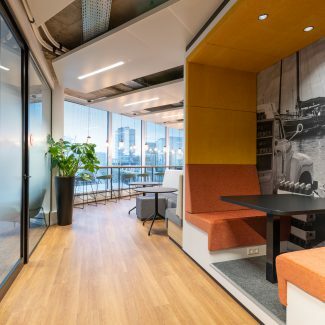 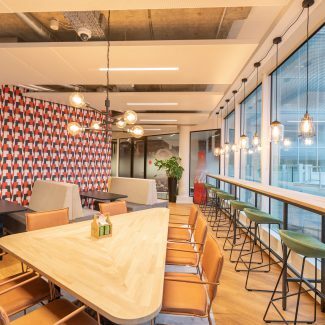 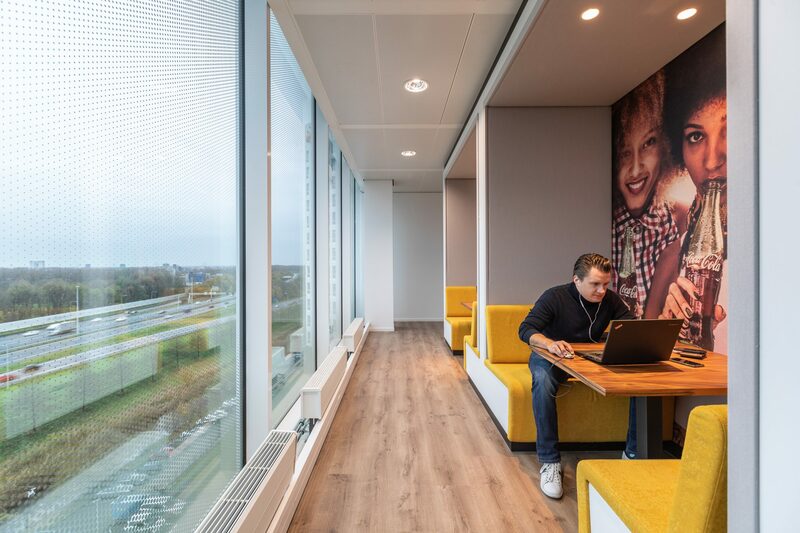 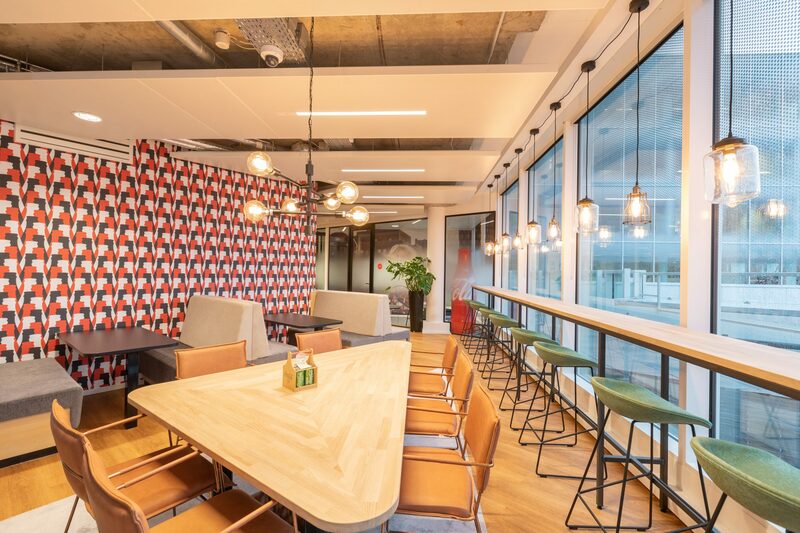 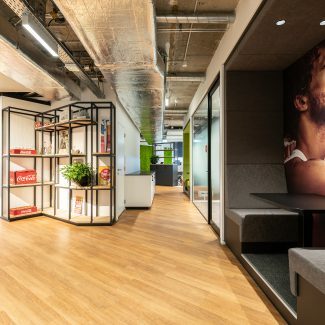 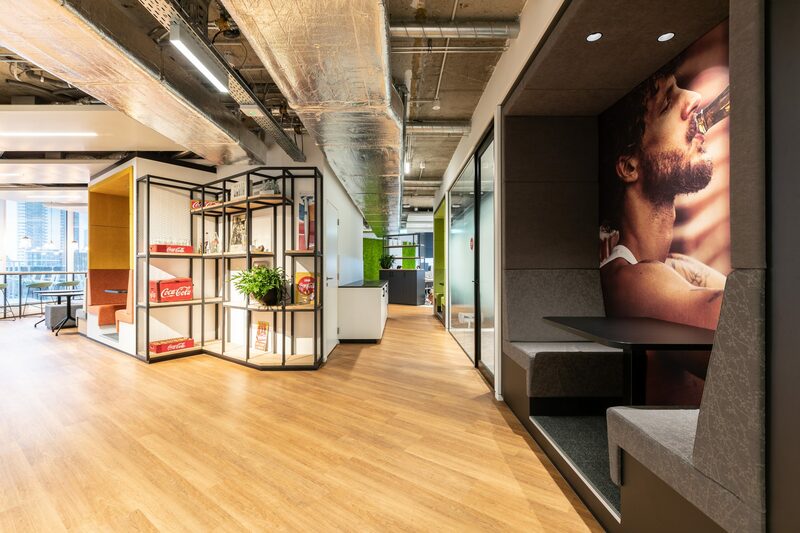 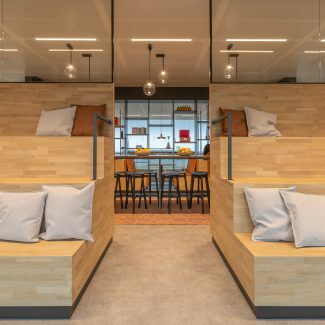 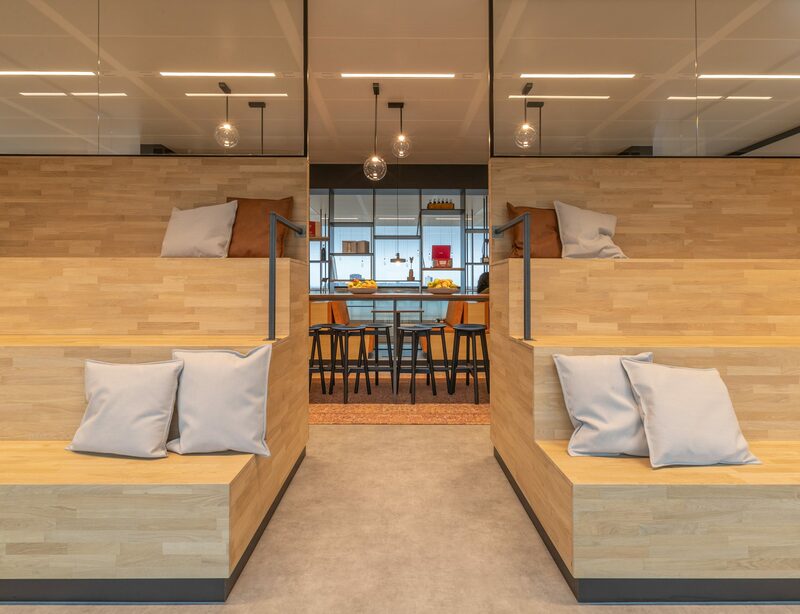 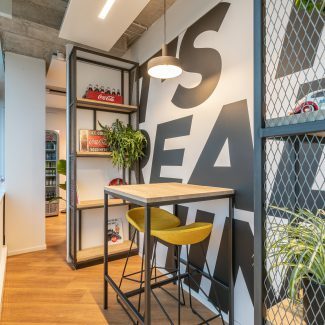 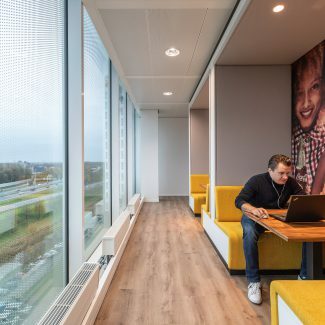 Both the Coca-Cola Company and European Partners opted for an open mobility-based workplace concept with a range of formal and informal workstations. 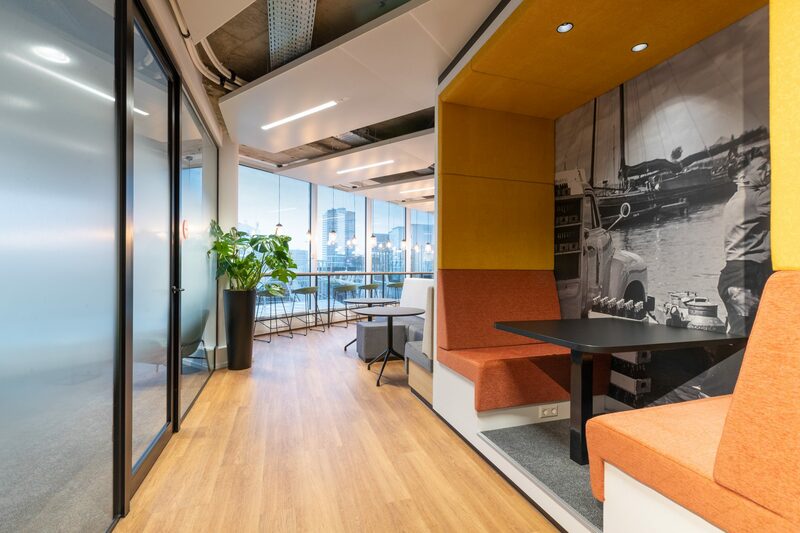 The various workstations meet the needs of employees and vary in their degree of privacy, concentration, interaction and nature of activity. 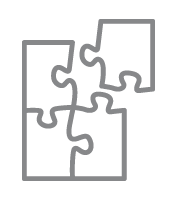 But the focus of every one is on collaboration. 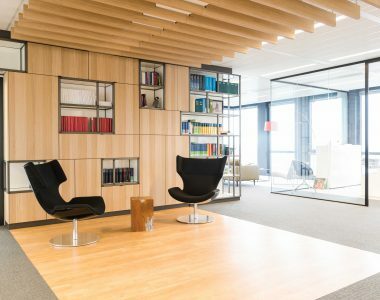 This approach is also taken in the connected open spaces, viewing holes between the departments, numerous flexible workstations with (informal) seating and two open spaces that connect the three CCEP floors. 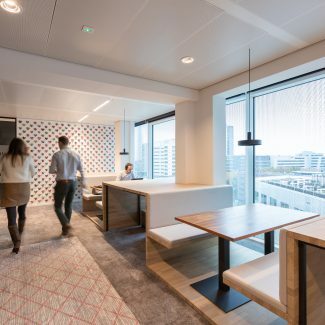 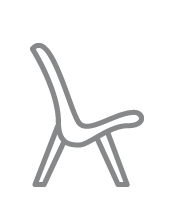 The vertical lines in the design emphasise and strengthen connectivity. 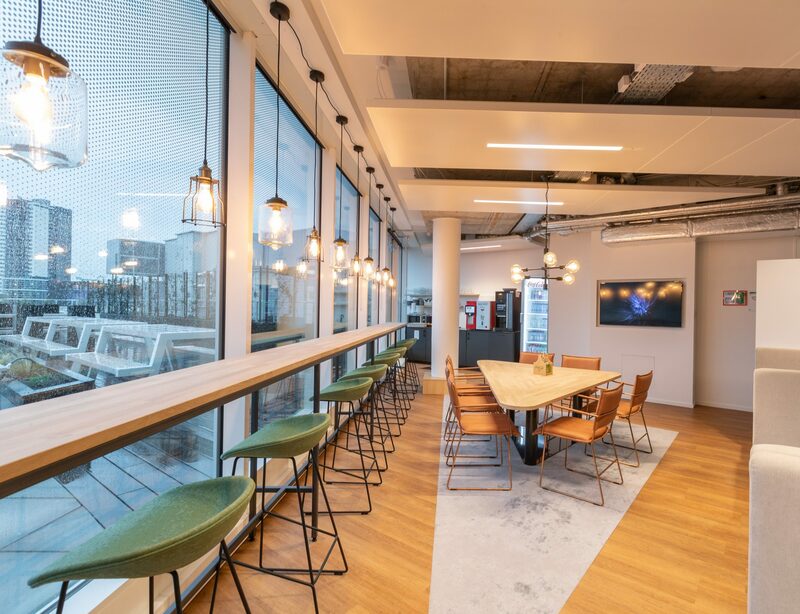 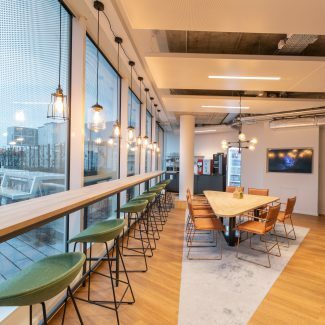 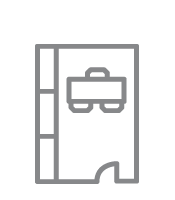 On the ground floor, the companies have a shared entrance, experience room and conference centre and the rooftop terrace on the 7th floor can be used by all employees. 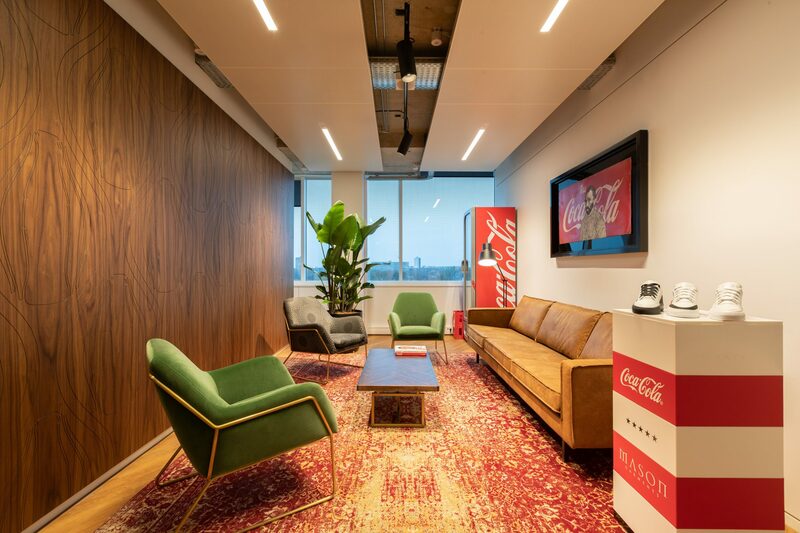 The strong brand identity of Coca-Cola is reflected in the furnishings and use of materials and colours. 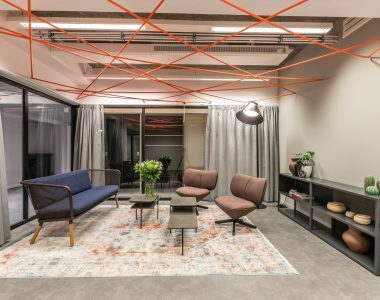 Warm colours give the design a homelike look & feel. 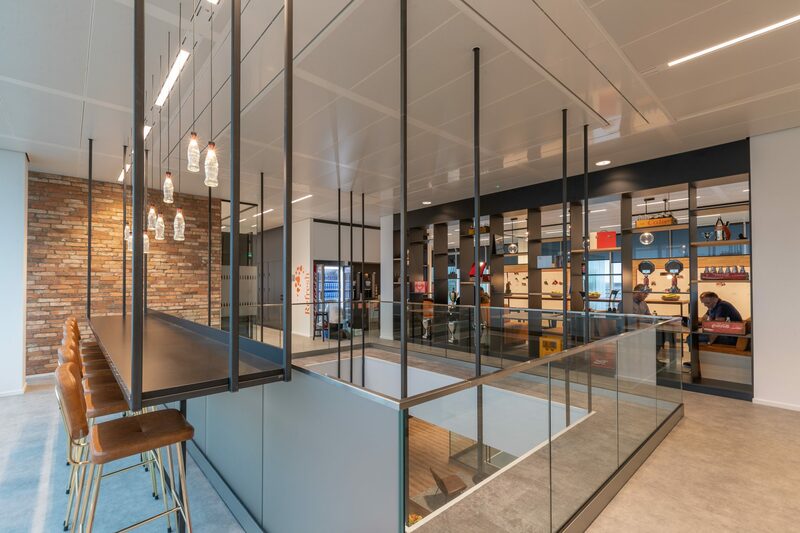 The extensive use of steel reflects the rugged and bold character of the brand, as well as the city in which it is located: Rotterdam. 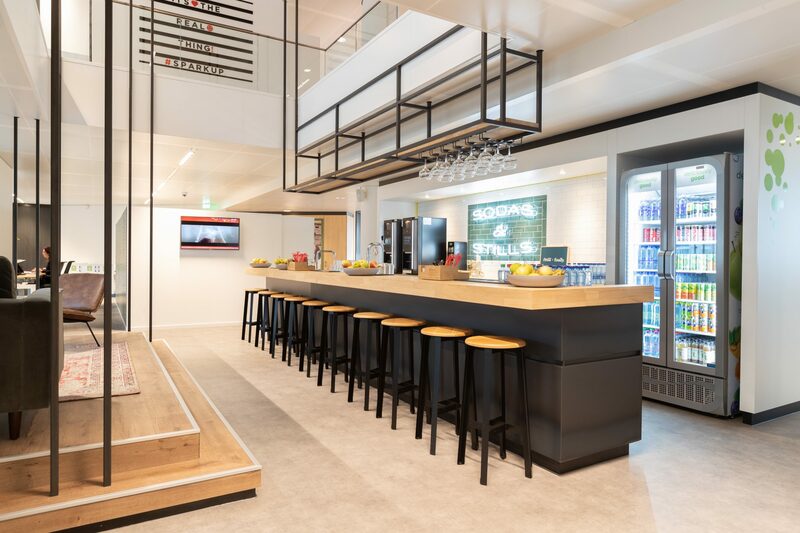 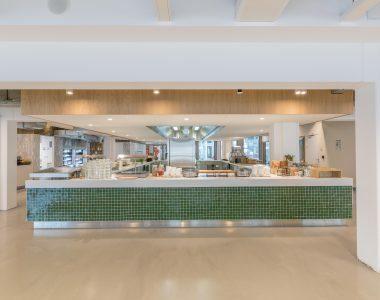 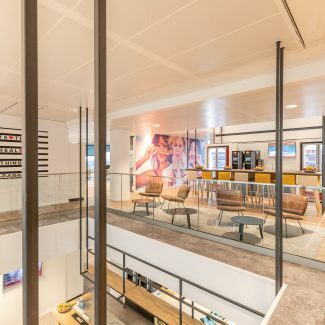 Two bars have been created: the Tasting Bar on the ground floor, where employees can sample new products on a regular basis, and the comprehensive Horeca Bar on the 8th floor. 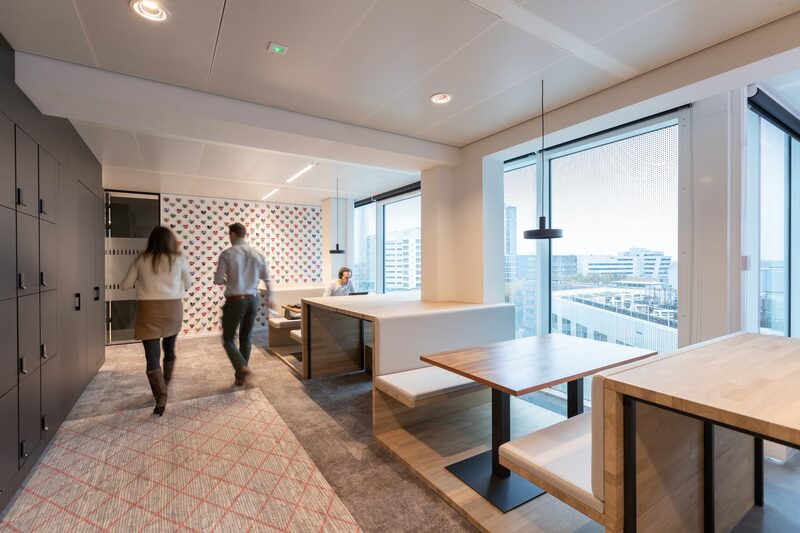 The two custom tribunes on the 8th and 10th floors are designed for small and/or brief meetings. 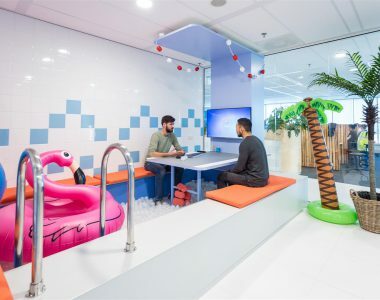 But the fun side of Coca-Cola is also incorporated into the building in the form of a Fanta Play Room. 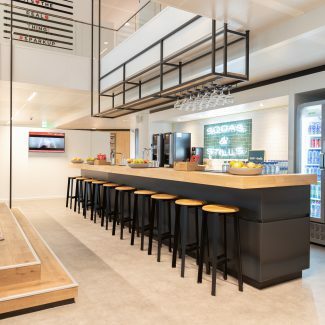 We’re proud to see that Coca-Cola employees are making the most out of all the different workplace concepts. 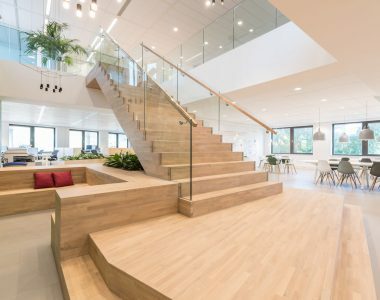 Our design clearly motivates and inspires them to work together in a whole new way.